It looks like little Nori is following in the footsteps of her famously stylish parents. According to Kim Kardashian, North West is obsessed with shoes, but that's not really surprising, now is it? She's already a well-established fashionista at less than two years old, and is widely known for her signature edgy style consisting of black fur coats, leather pants, and studded boots. As the offspring of two fashion-obsessed celebs — one with his own shoe line (North definitely has a baby pair of Yeezus sneaks, you know it), and the other with a shoe closet the size of the White House (I can only assume), it's no wonder North can't get enough of stylish kicks. Who can blame her? Kim Kardashian spilled to Vogue.com about her daughter's shoe addiction, saying "She’s really particular about what she likes to wear, she’s such a girlie girl," Well, I could have told you that. Kim adds "Every day she wakes up and says ‘shoes.’ You have to bargain with her — before you change her diaper she needs a pair of shoes on.” Vogue.com reports. 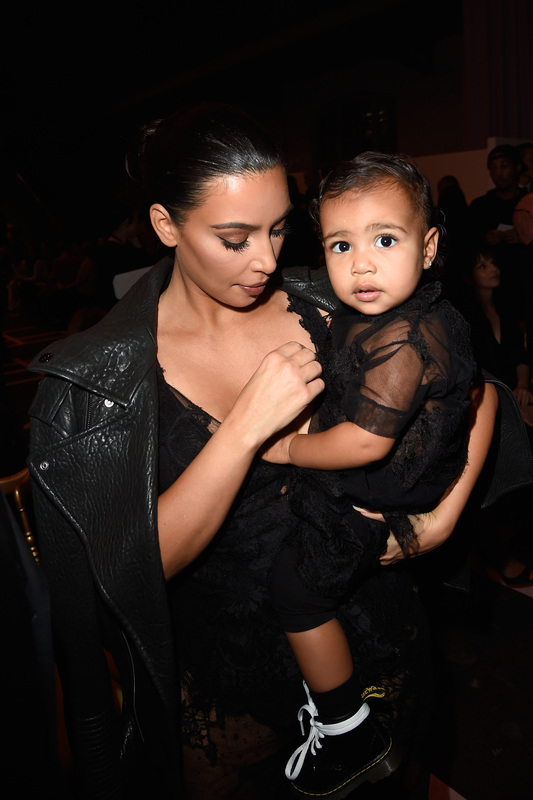 Looks like Nori is shaping up to be quite the little diva, eh? Just as I expected, to be honest. There's no doubt, however, that North's shoe game is on fleek. Let's take a look at her best footwear moments, because she's got some really some awesome kicks. The combat-boot style is so edgy. Channeling Miley Cyrus à la "Wrecking Ball"? Because owning only one color of the same shoe is for basic people. She combines style and comfort. She's got the "cool girl" vibe down pat. This is so chic I can't even handle it. That's right. These were customized just for North. Hey, If I were North West, I'd have a shoe addiction too.